Your favorite outdoor dining enthusiast will be delighted with a decorative tin packed with delectable gourmet picnic treats. 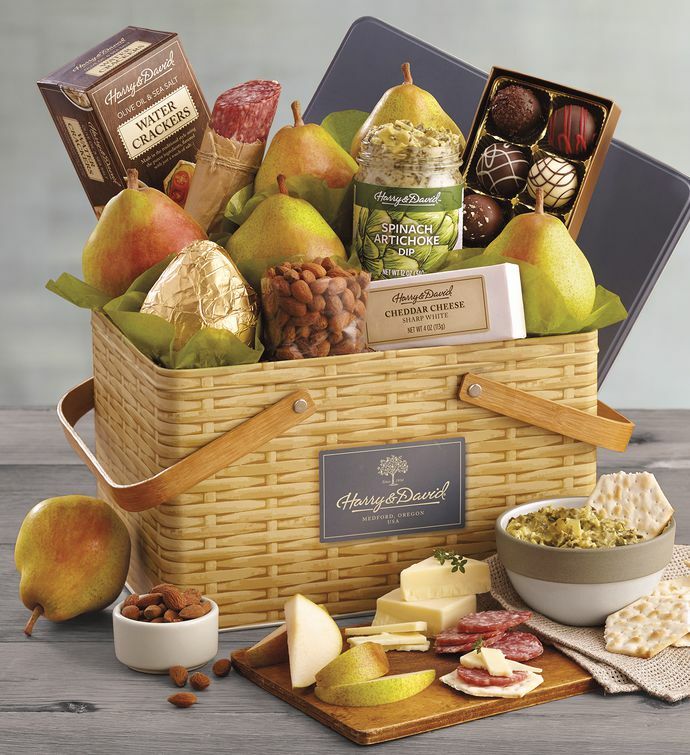 The selection includes our extraordinarily juicy Royal Verano® Pears, chocolate truffles from our own candy kitchen, and a variety of savory snacks like sharp white cheddar cheese and dry Milano Italia salami. The container will come in handy for many picnic seasons to come.